Summer is in full swing and the motivation to challenge tasks that are outside the home have not been higher all year. With Galway experiencing so much rainfall this spring, our gutters would have been working overtime. With the weather (a bit ) dryer, now is the chance to remove any blockages. Blocked drains and gutters can lead to water damage, leaks, and mould growth, something you do not want to see in the depths of winter. Due to the rough weather we get in Galway throughout the year, it is likely the roof will experience a fair amount of wear and tear. Get the roof inspected by a professional who can remedy problems like roof leaks and rotting fascia boards. If you do not have a brick finish on the exterior of the home, it is likely you will have to give it a couple of coats of paint to get it back to looking its best. Repainting the exterior of a house in summer time is the only real opportunity to do so in Galway and with the hot weather it should dry in no time. So there you have it. Some top tips for home maintenance. 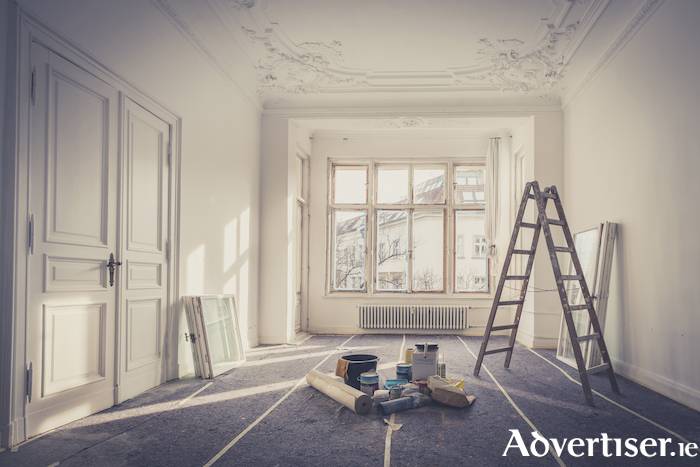 If you would like to advertise home maintenance services visit Advertiser Classifieds were you can promote your business for just €4 per month.